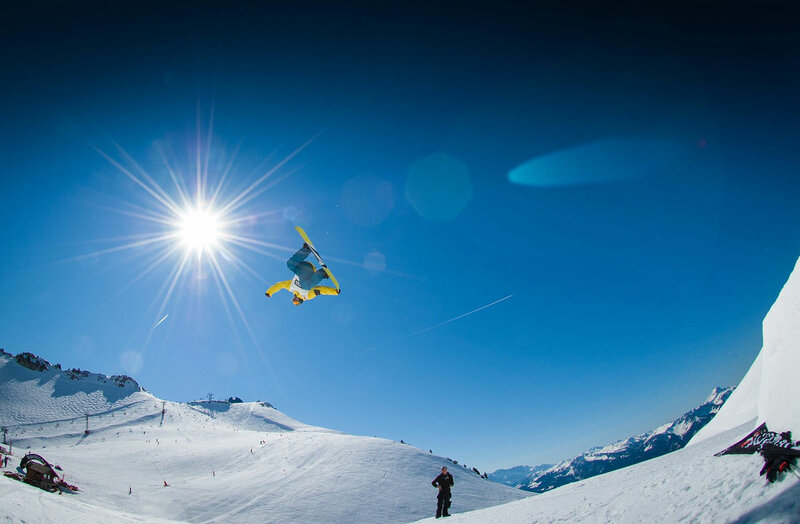 Recognised as one of the most popular winter sports in the world, Snowboarding has come a long way in the past 30 years. No longer considered an extreme sport limited only to the brave adrenaline junkie, snowboarding attracts thousands of people of all ages to the slopes each year. Despite its growing popularity, however, it is not an easy sport to master. Snowboarding involves securing both feet to a board and maneuvering your way down a snow-covered slope – a good sense of balance and a generous helping of confidence are a must. Snowboarding can truly be a ton of fun once you get the hang of it, however, before you can rocket down a mountain at top speed, there is a tricky learning process to get through first. 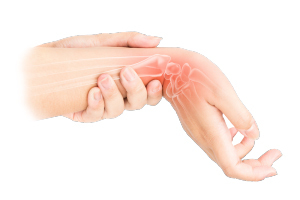 What is a Foosh Injury – Why so many wrist injuries? Unlike skiing, both of your feet are firmly strapped to a snowboard and should you find yourself tipping over, there is no way to ‘step off’ the board and regain your balance. When this happens, our natural reaction is to stretch out our hands protectively in front of us to try and break our fall – but unfortunately, this often backfires and instead results in a myriad of wrist problems, if not a broken or fractured wrist. There is even a special term that has been coined for this phenomenon – FOOSH (Falling onto an Outstretched Hand) and it’s no wonder: From Foosh injury there are an estimated 95,000 wrist fractures each year among snowboarders alone worldwide! Although wrist injury is the most common result of breaking your fall with your hands, if you suffer a FOOSH injury, there are many different body parts that can become injured. These typically involve your wrist and hand, but you may also injure your elbow or shoulder as well. Even the greatest can have Snowboard injuries! These days, falling has simply been accepted as an unavoidable part of learning to snowboard. It is considered a must that all beginners wear at least a helmet and wrist guards with the added option of a back brace and knee pads if they wish. But even with all of this added protection, snowboarders are still high-risk when it comes to wrist injuries. Even the pros who have spent years perfecting their balance and technique can be subject to snowboard injuries from falls now and then. Take professional snowboarder, Shaun White: famous for his talent both on the slope and the skateboard ramp, the American is a three-time Olympic gold medalist and holds the record for the most gold medals won at the X-Games. 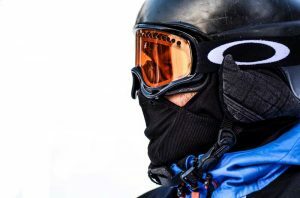 But no number of medals can safeguard you from an injury and White had to bow out of the slopestyle event at the 2014 Winter Olympics in Sochi, Russia, due to a sprained wrist –(Foosh injury! Hey, the guy’s only human after all!). Snowboard Injuries – Apart from wearing wrist guards and being cautious on the slopes, what else can you do to prevent wrist injuries? Only the size of a tennis ball, Powerball is a gyroscope that can generate up to 27kg of inertial resistance. The faster Powerball spins, the more resistance it creates and how fast it spins is entirely up to you. Powerball is a 100% non-impact form of exercise and when used for as little as 3 minutes each day, it will effectively build strength and flexibility in the wrist and significantly lower the chances of incurring a wrist-related injury while snowboarding. Spin Powerball at high speeds before you jump on your snowboard each morning and experience an intense upper-body workout that will effectively warm up your wrists, hands, forearms and shoulders ensuring you are prepared for whatever you may encounter on the slopes that day. (Warming up before you take to the slopes is the best way to prevent wrist injuries). Why not bring Powerball along for the ride? Thanks to its convenient size, Powerball fits comfortably in your bag and is perfect for quickly warming up your hands and muscles on the chairlift or between freestyle sessions. 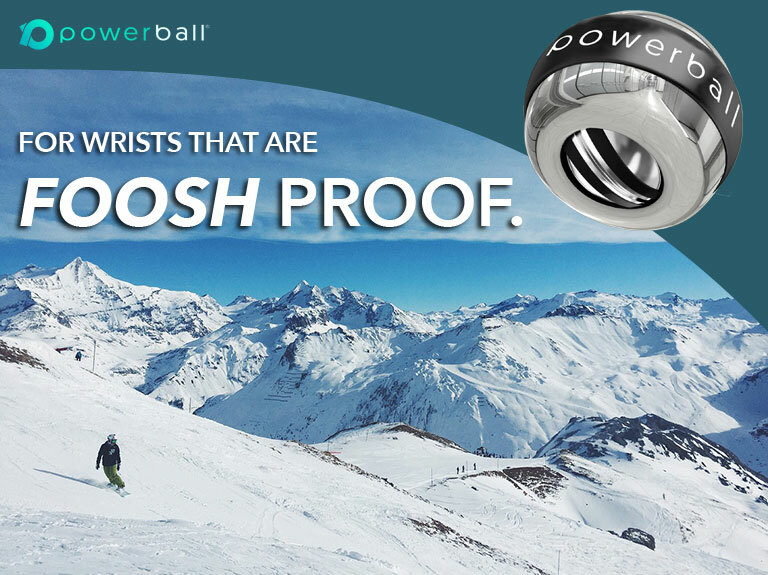 A must-have device for all snowboarders, see for yourself how Powerball will dramatically improve grip power as well as long-term strength, flexibility and endurance, not only in the wrist but also in the hand, fingers, forearm and shoulder. Snowboard Injuries – are you already in the process of recovering from a wrist injury? Not only is Powerball ideal for building and strengthening muscles to prevent a Foosh injury of the wrist, it is also a highly-effective rehabilitation device. Spinning Powerball at slow and gentle speeds for just a few minutes every day instantly soothes and relieves pain in the wrist by increasing blood flow and bringing healing, oxygen-rich nutrients to damaged tendons and muscles. When used correctly, this physician-approved product will effectively rehabilitate sore and damaged muscles. 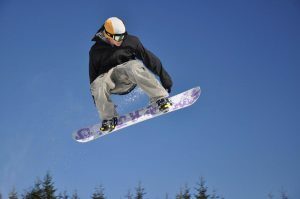 These can be snowboarding injuries or other common wrist injuries, such as RSI, carpal tunnel syndrome, tendonitis, TFCC tear or a broken or fractured wrist. 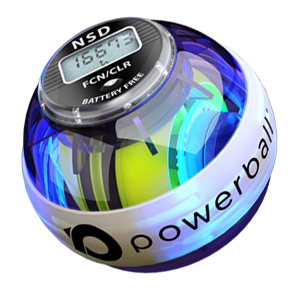 The non-impact inertial resistance created by Powerball gently rehabilitates your wrist as you spin and actively prevents the risk of long-term damage. 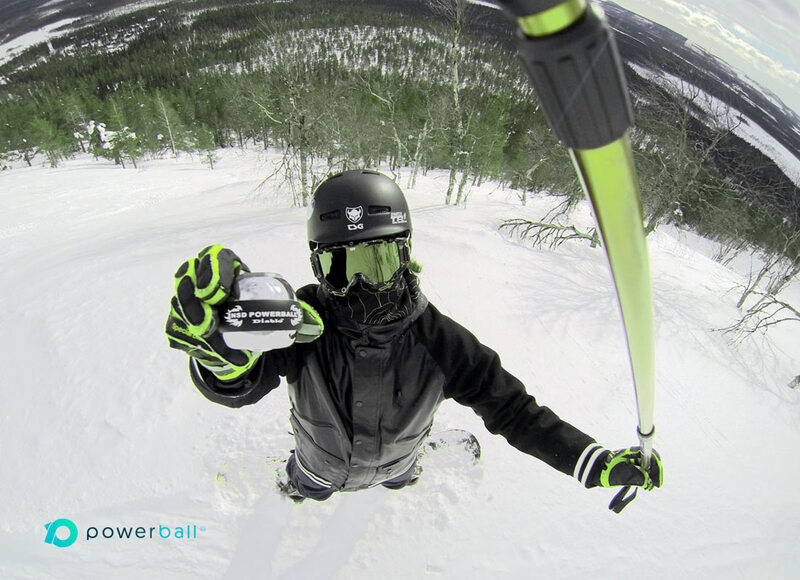 What’s more, using Powerball on a regular basis reduces overall recovery time meaning you can get back out on the slopes in no time! 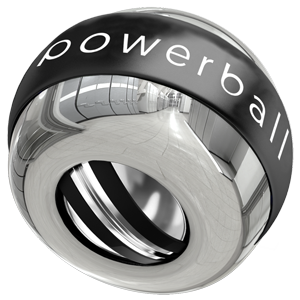 Do your wrists a favour and get yourself a Powerball today! Beauty outside. Beast inside – Diablo Evo, the perfect Powerball for the slopes! Housed within a perfectly-polished, stainless-steel chrome shell, Diablo Evo can generate up to 27kg of inertial resistance at spin speeds of over 18,000rpm with absolutely zero vibration. Diablo Evo is 10% smaller than other Powerball models making it the perfect size for conveniently stowing away in your rucksack and what’s more, it includes a protective carry case with a secure zip closure, so there is no need to worry about causing damage to the ball as you cruise down the slope! But don’t let its reduced size fool you, Powerball Diablo Evo is the ideal fitness tool for an intense, upper-body workout that will have your muscles burning for days afterwards. The powerful exercise device is the perfect complement to any sport, including snowboarding and will train your wrists for dramatically improved strength and flexibility. Spin Powerball Diablo Evo at moderate to fast speeds, for effective strengthening results and significantly lower your chances of acquiring a wrist-injury on the slopes. Diablo Evo is also ideal for rehabilitating a previously-sustained wrist injury, such as a broken/fractured wrist or torn muscle or tendon and will effectively soothe pain in the joint, while simultaneously strengthening for a faster recovery. 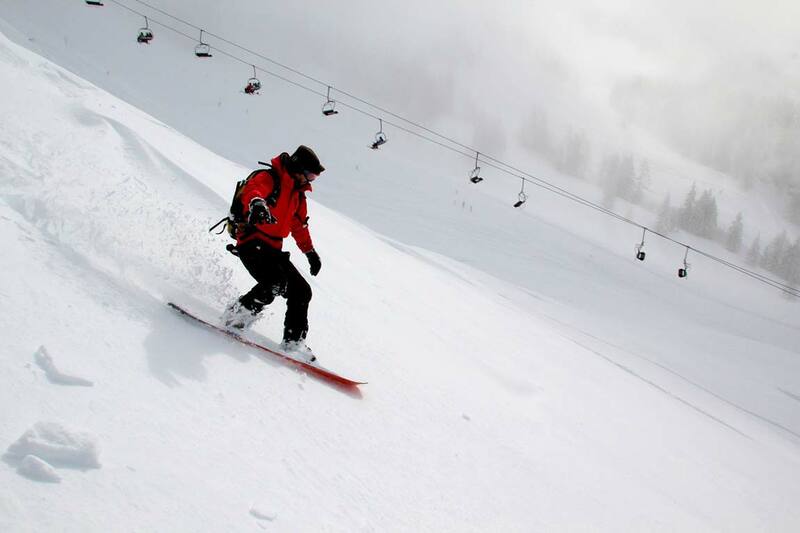 Protect yourself while snowboarding – rehabilitate and combat injuries with Powerball Diablo Evo. Buy yours today at www.powerballs.com. Broken bone rehab. No problem. If you have a Foosh injury or wish to prevent wrist injuries follow our wrist rehabilitation programme, which can be downloaded below. 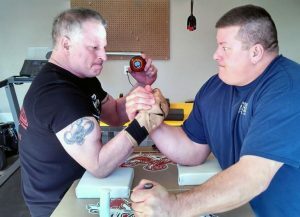 Our wrist rehabilitation videos have been designed by physicians to promote an even faster recovery or find the right Powerball for you at www.powerballs.com.